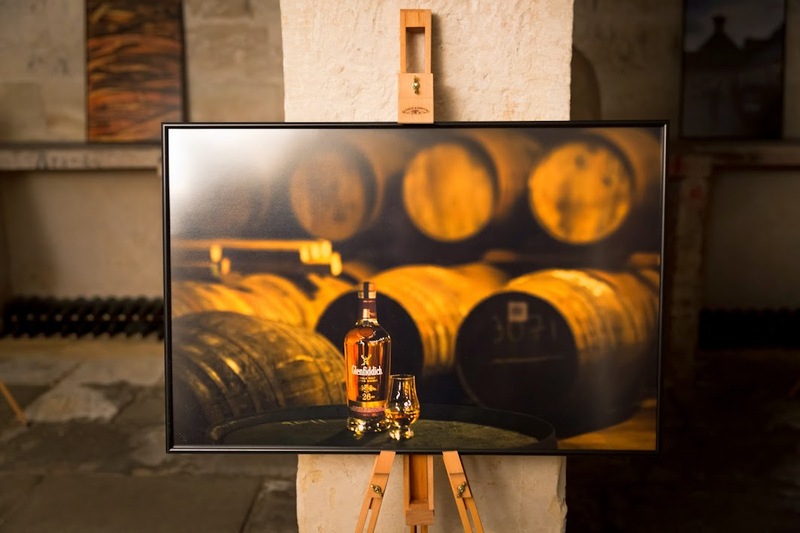 The Australian launch of the specially crafted Glenfiddich Excellence 26 was matched with an intimate story of the journey of the casks from which this single malt was bottled. 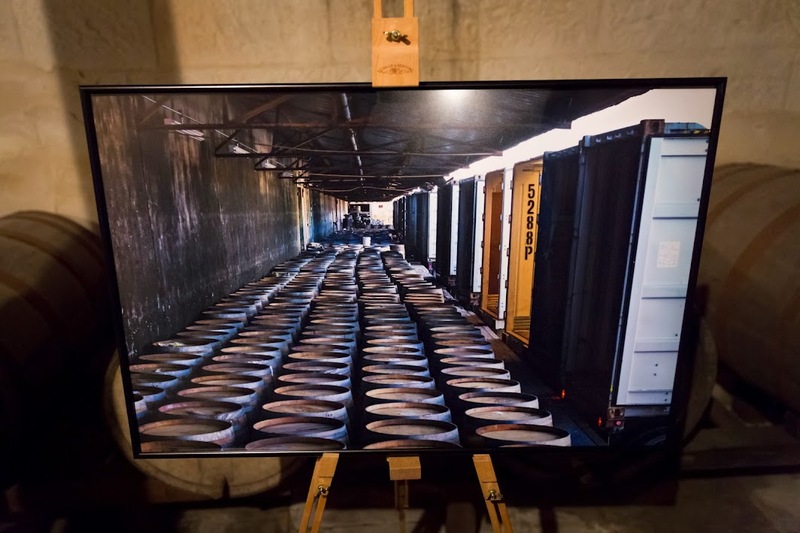 The story, captured through a series of 26 delicate images by the celebrated Scottish landscape photographer Simmon Butterworth, explains the life of the casks from their humble beginning to their final home in Scotland. Held at the old, splendid and well preserved Elizabeth Bay House, the folks at William Grant & Sons Australia have not only allowed the elegance of its new expression to shine, but also allowed the intricate and fine details of the house be appreciated. 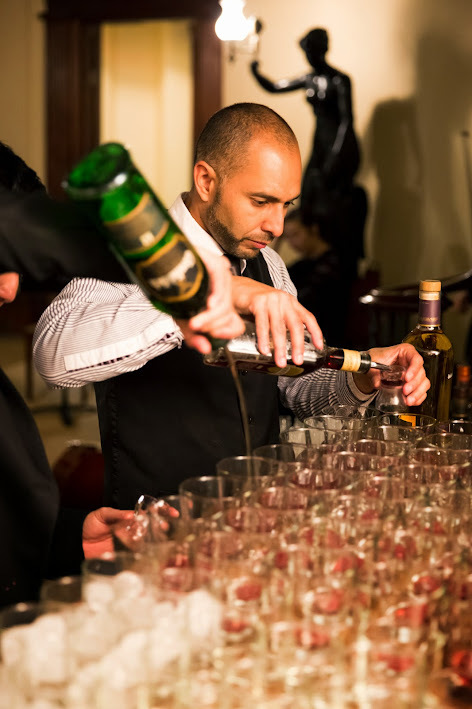 Once a private house, the house is remarkably delicate and beautiful with sweeping staircases, lavish interiors and furnishings (the perfect setting for the launch of such a whisky). 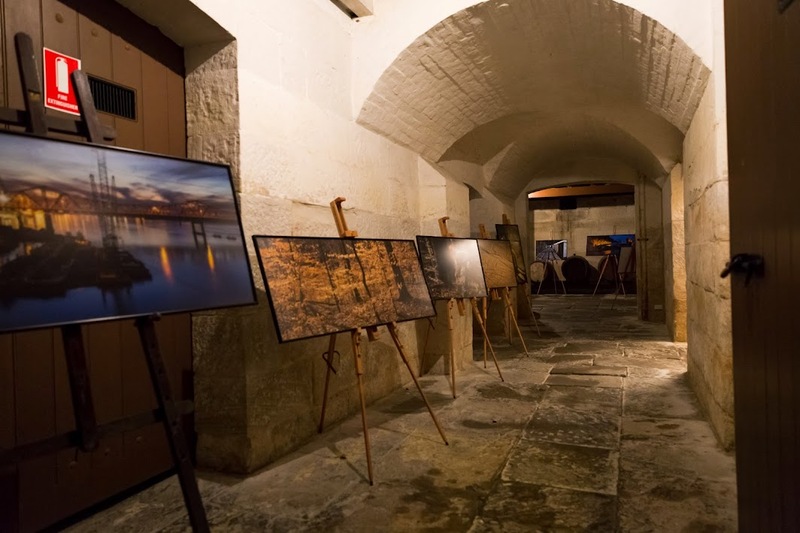 Over the years, the house has been converted into a museum and is now open for public viewings throughout the year. 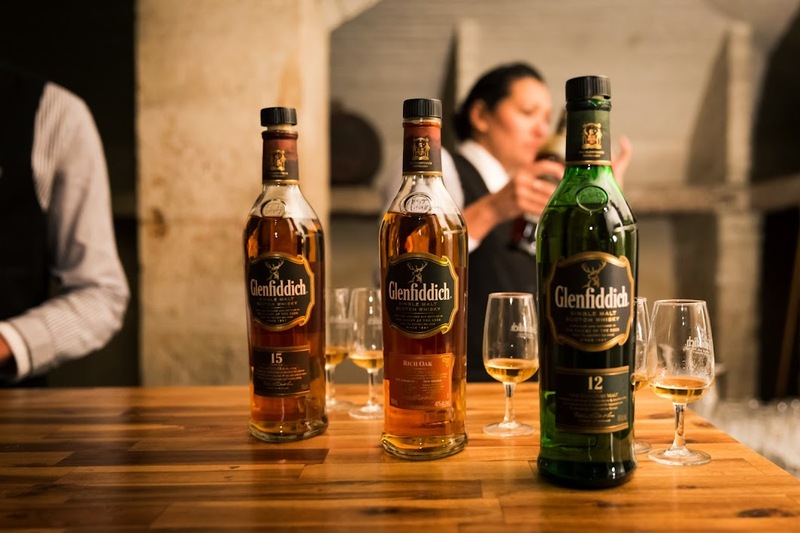 Matching the elegance of the house were a number equally elegant and more commonly appreciated expressions including the Glenfiddich 12yo, Glenfiddich 14yo (Rich Oak), Glenfiddich 15yo, Glenfiddich 18yo and the Glenfiddich 21yo. 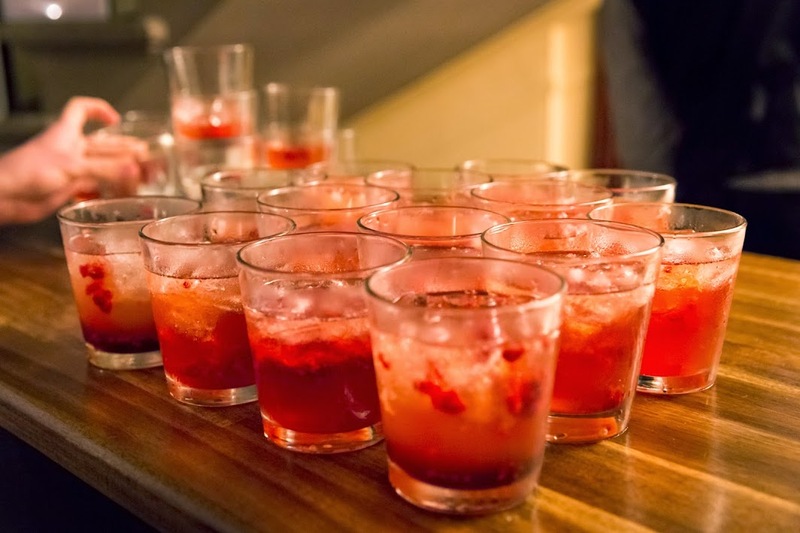 Also making an appearance on the night was the "And see my baby" cocktail - finalist cocktail from the Pioneers Cocktail Competition last year, also served at the 125 years of pioneering spirit dinner TimeforWhisky attended in 2013. 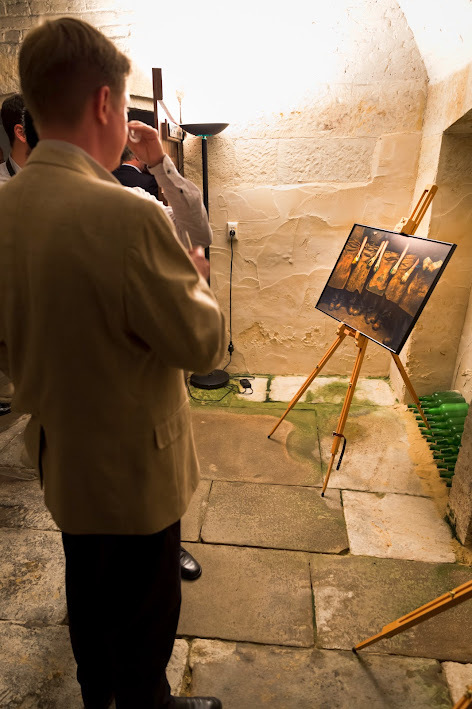 Following the warm embrace of the welcoming cocktails and canapes, we were ushered into the cellar for the second part of the night. 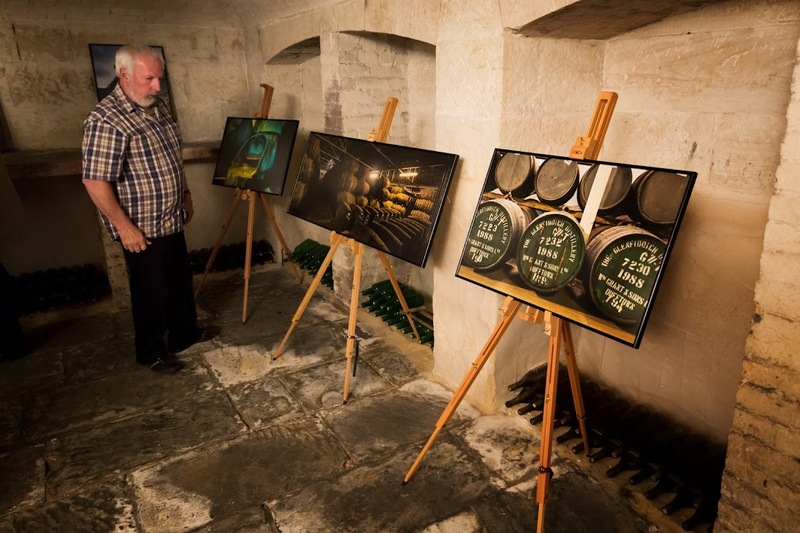 Located below the house, the original sandstone cellar was delicately used to showcase the 26 photographs which visually narrated the voyage of the casks from Kentucky through to their resting place in Scotland. 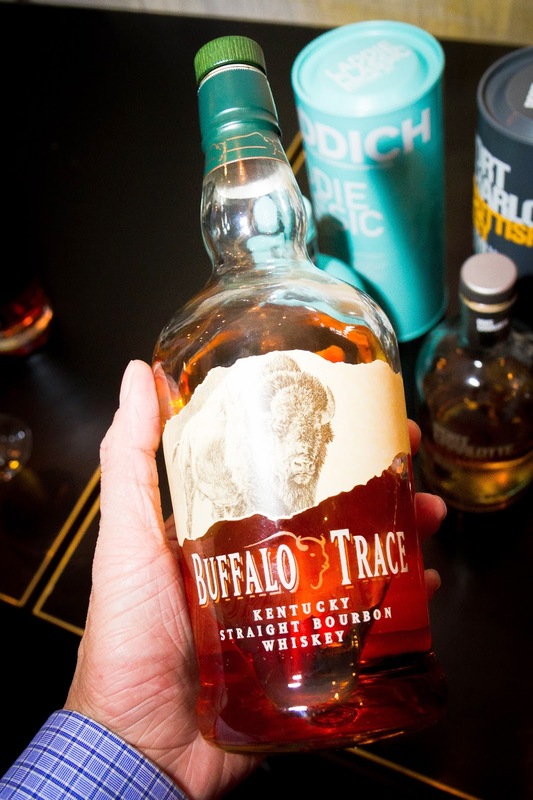 The American Oak was originally used to age bourbon whiskey for 3 years in Kentucky, before being transported, refreshed and used as basis for maturation of this single malt in Scotland. 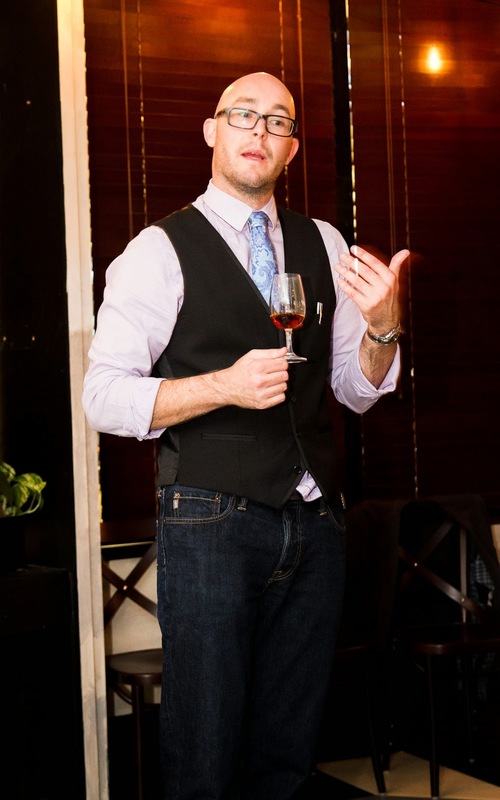 James Buntin, the Glenfiddich / Balvenie Australian ambassador (and soon to be Balvenie ambassador in the UK) presented the star of the night, the 26 year old final result of the journey, the Glenfiddich Excellence 26. James described the Glenfiddich Excellence 26 as one of his favourite, with a particularly long, deep and complex finish - the underlying character that warrants the value of such malt. A hug and a kiss of the bottle by James before we dove into the tasting. 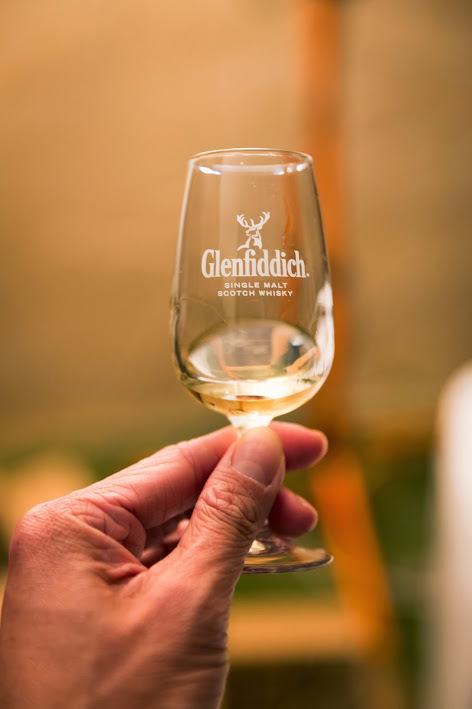 At first glance, the Glenfiddich Excellence 26 appears quite lighty coloured for its age. 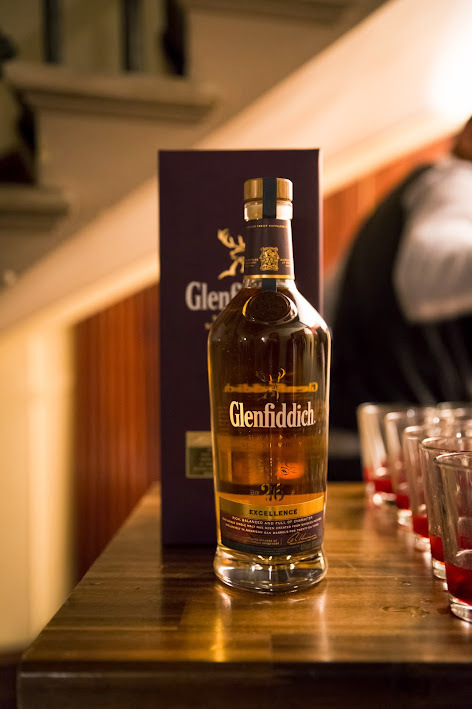 Then again, Glenfiddich does tend to control the colouring of its whisky across certain expressions (Martin: When you're the world's number 1 selling single malt, people expect you to be consistent!). 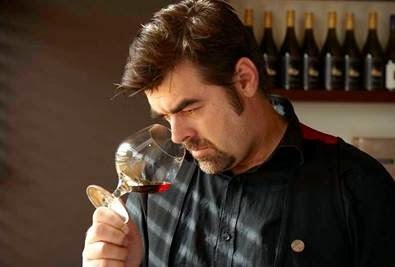 On the nose, this expression is quite light and sweet though the fieriness soon arrives on the palate. As James hinted, the finish was incredibly long, peppery and lasted for quite some time. 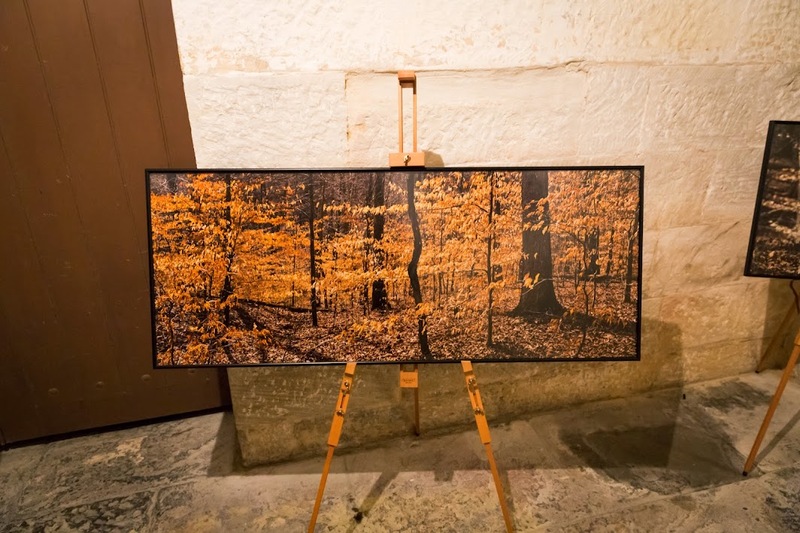 The launch of this new, beautiful 26 year old expression along with the exhibiting of the 26 remarkable photographs was astounding. 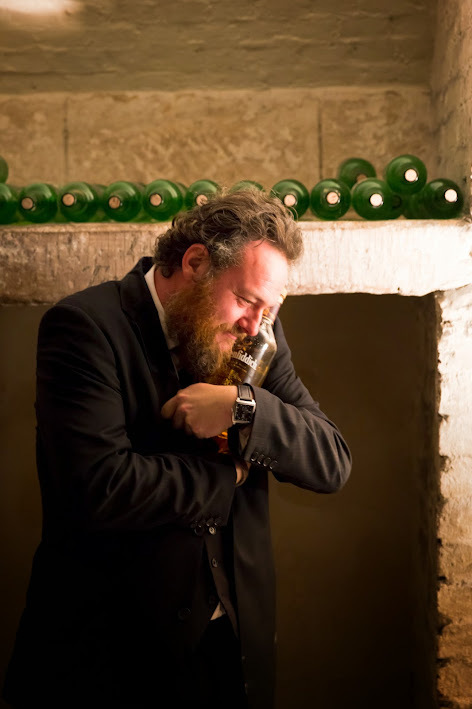 The retail price of this expression is $590AUD, higher priced than other Glenfiddich expressions though suitably justified given its delicate craftmanship and final characters. 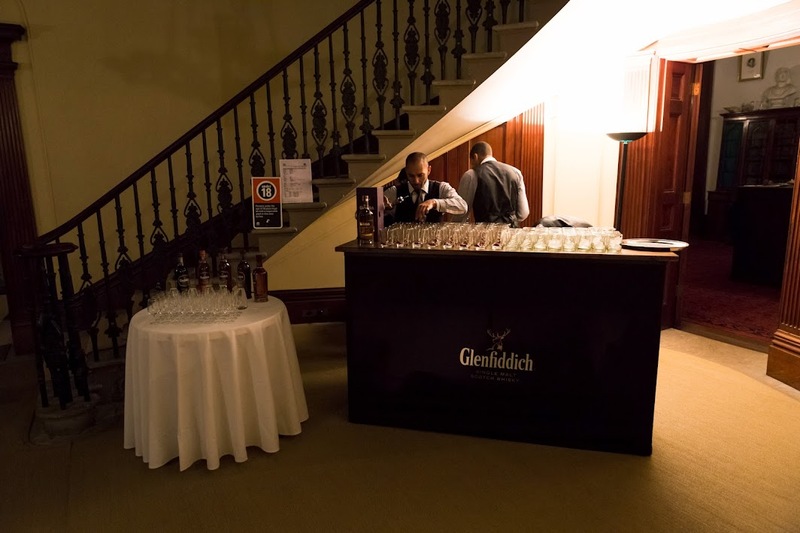 The Glenfiddich Excellence 26 is available in Australian stores from early October. 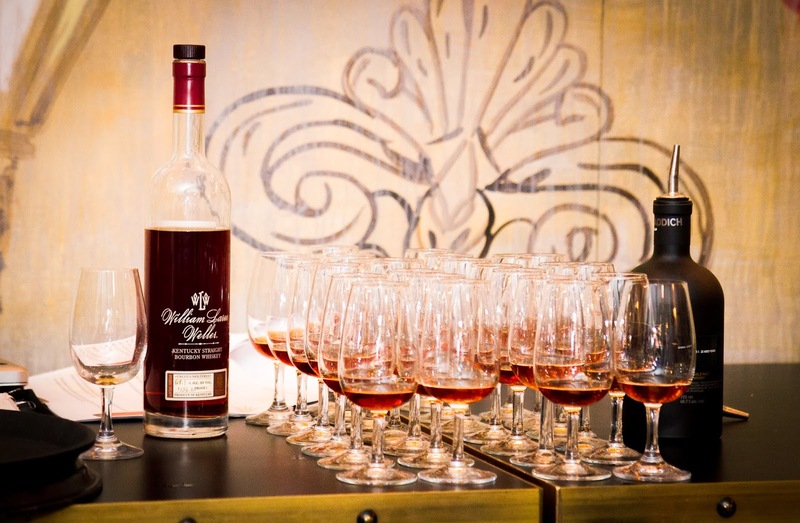 A big thanks to the William Grant & Sons Australia for what was another successful event. 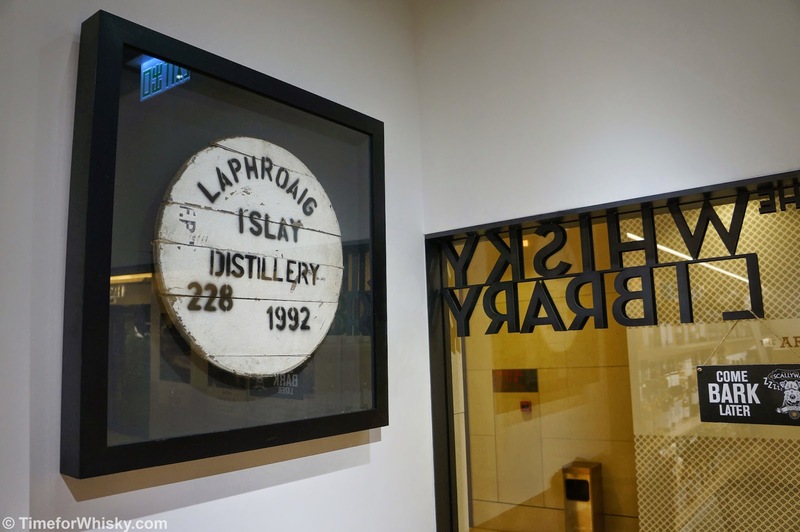 Since Steph and I started this blog over two years ago, we've tasted some fantastic whisky, attended some brilliant events, and met some wonderful people. 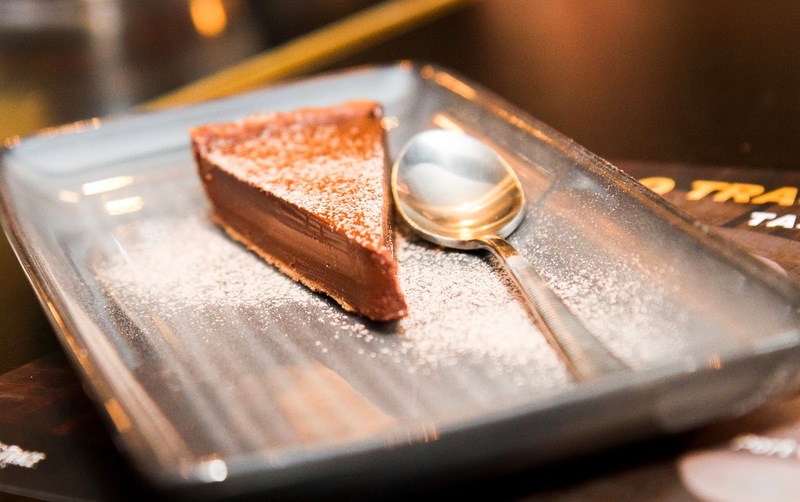 We've also experienced whisky paired with amazing views, delicious dinners, rare cheese and even bespoke chocolate. 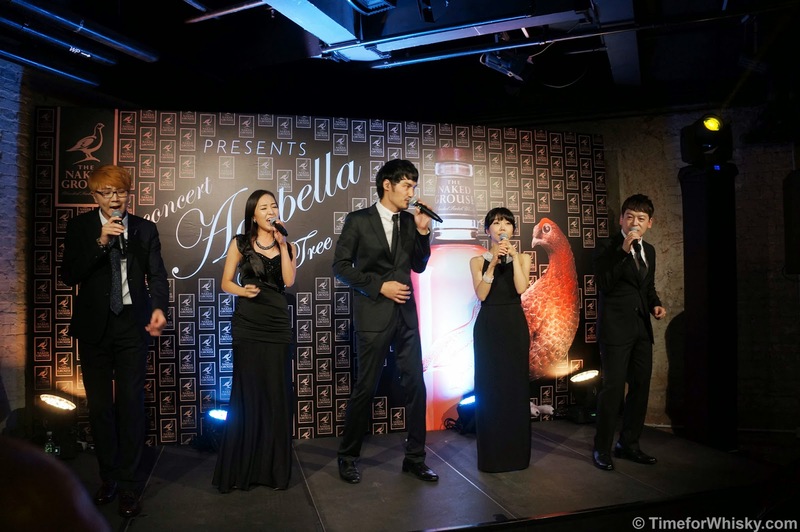 Does blended whisky pair well with Korean A Cappella? I should explain. 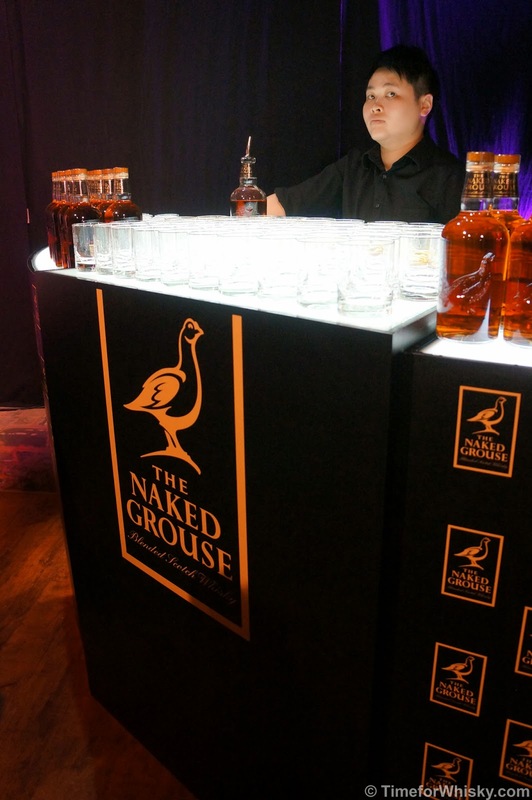 Edrington's The Naked Grouse is a blended whisky containing a good proportion of The Macallan and Highland Park, aged in first fill sherry barrels. It follows the "less is more" ethos, with pared-back packaging allowing the whisky to take focus. 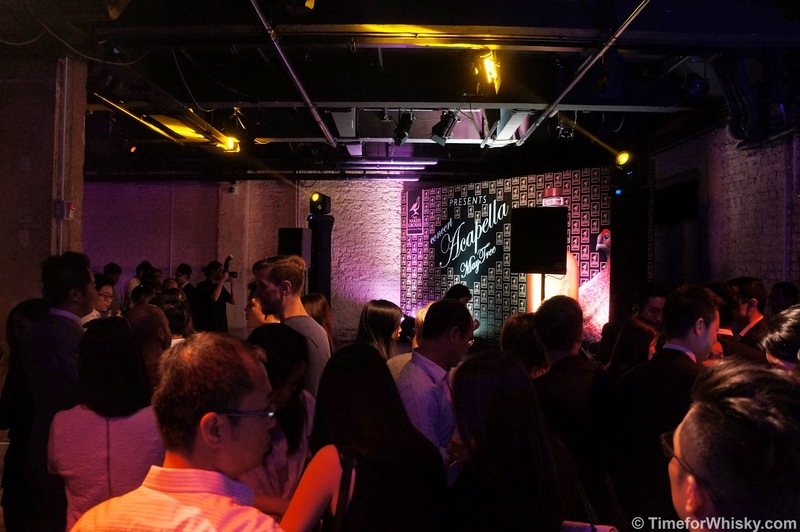 To celebrate, each year for the past three years the brand has hosted a "Less is More" event in Hong Kong, showcasing the whisky in a relaxed, 'Less is More' environment. What better accompaniment to such an event than an A Cappella band right? 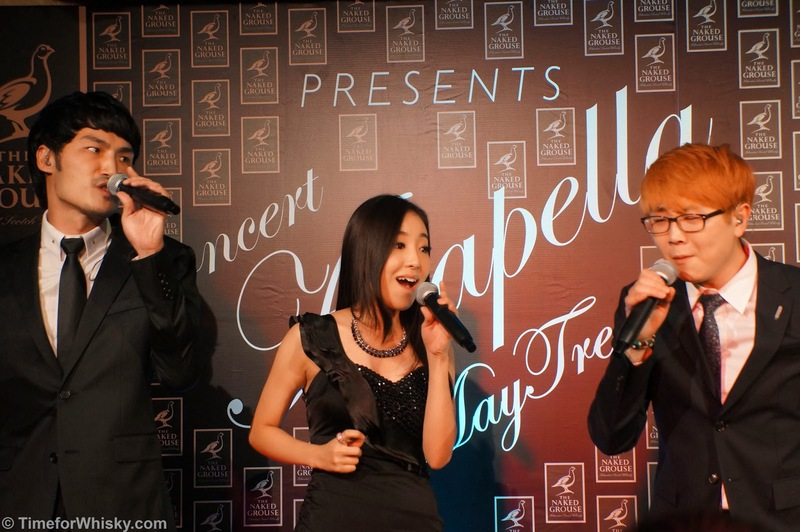 This year, it was Korean group MayTree. 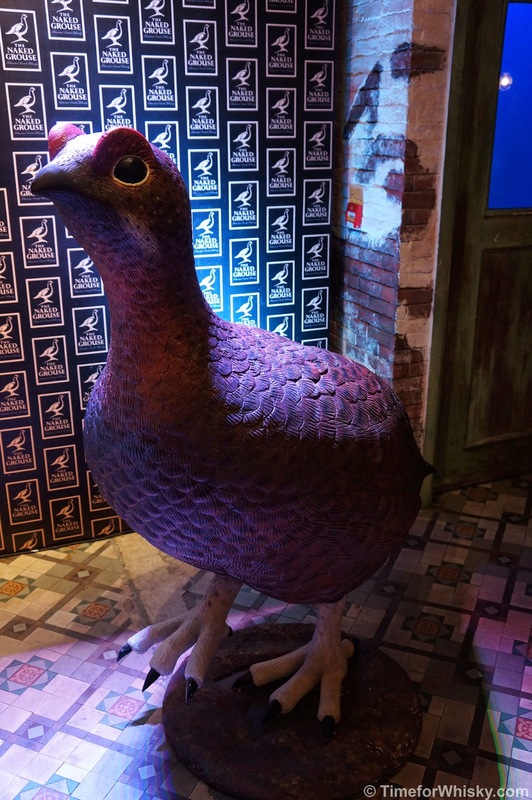 Held at Hong Kong's The Fringe Club, the night started with canapés and The Naked Grouse served neat, on the rocks or with soda. Again, keeping to the 'Less is More' principle and letting the whisky be the focus. Not having tried this whisky before, I decided to go for neat. Not always a good move with cheaper blends, but I was pleasantly surprised. Whilst I didn't take detailed tasting notes (they wouldn't have been too accurate tasting from a tumbler anyway), it reminded me a lot of a younger Macallan. Definitely a big sherry influence, certainly very enjoyable on its own, and considering its $380HKD pricetag (around $55AUD), good value indeed. After a few drams, a few more of those tasty canapés and bumping into fellow whisky friends (Hong Kong really is a small place), it was down to the basement for the concert. ...which, I have to say, was fantastic. We weren't really sure what to expect (this being our first Korean A Cappella gig and all...) but we really enjoyed it. The voices of all five members were amazing, but most impressive were the musical instruments they emulated. You'd honestly think you were listening to a live band, instruments and all, if you closed your eyes. Don't take our work for it though - check out the clips below (unfortunately not the best sound recording, but impressive singing nonetheless). After a lengthy enjoyable set and a few more drams (the frequency with which glasses were topped up was a sight to behold - needless to say no-one went thirsty) it was time to leave, finally being able to answer the question "Does blended whisky pair well with Korean A Cappella?" with an emphatic "yes"! 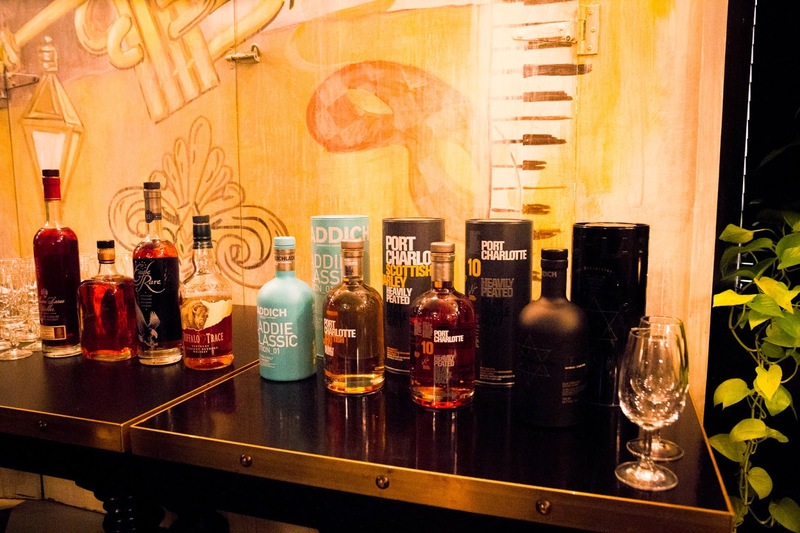 Ardbeg...we've featured them once or twice (*cough*) on this blog, and gushed (jusifiably so) over their brilliantly-run events, their stunning releases and of course their absolutely fantastic whisky. 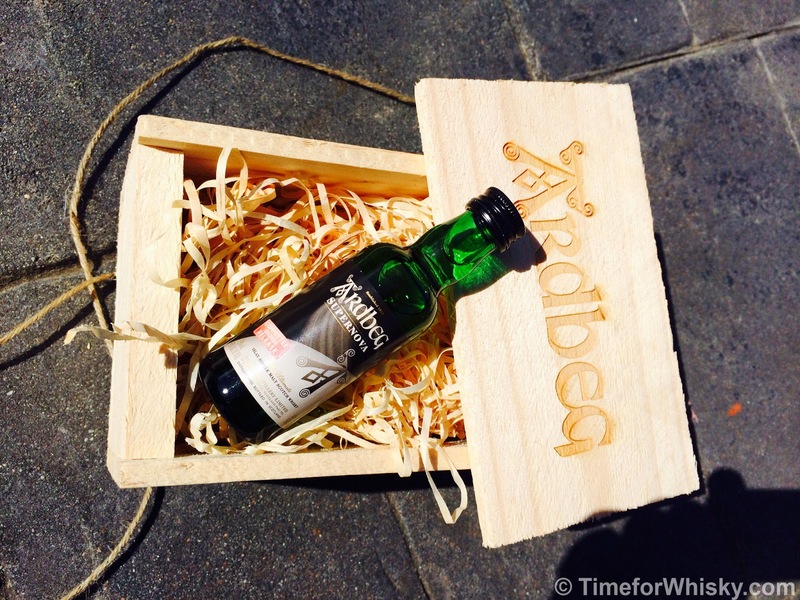 Moet Hennessy Australia, and their PR company EVH PR have a knack for knocking it out of the park when it comes to new Ardbeg releases in Australia, so when a familiar black bag arrived on the door step last week, I was understandably excited. Could it be...a sample of the new (yet to be released) 2014 Supernova we've been hearing so much about? This new 2014 release celebrates a few things. Firstly, it sees the return of Ardbeg's "Supernova" after a four year absence (the original, released in 2009, was so popular with Committee members that it was brought back in 2010). 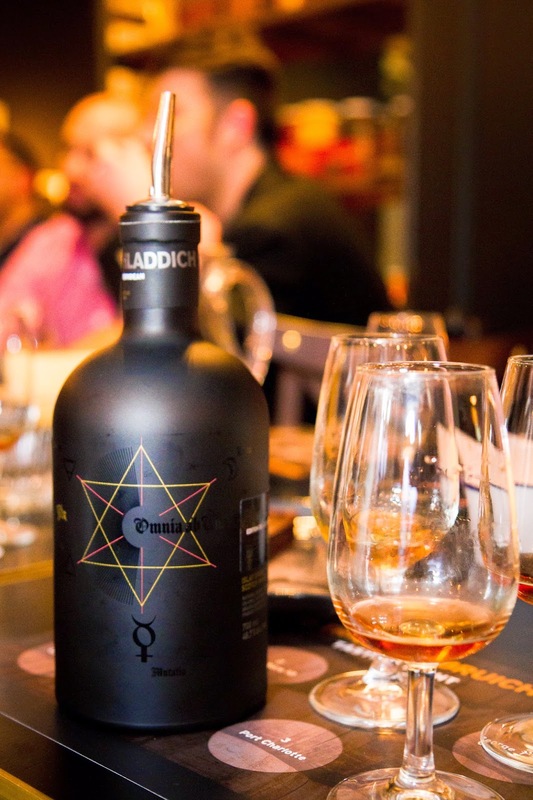 Secondly, it coincides perfectly with the return of Ardbeg's ground-breaking space experiment launched in 2011. After 1,045 days in space, that now-famous vial of Ardbeg sent into space in 2011 has returned, and is ready to be re-united with its "control sample" (an identical vial which has been housed at the distillery's No.3 Warehouse). 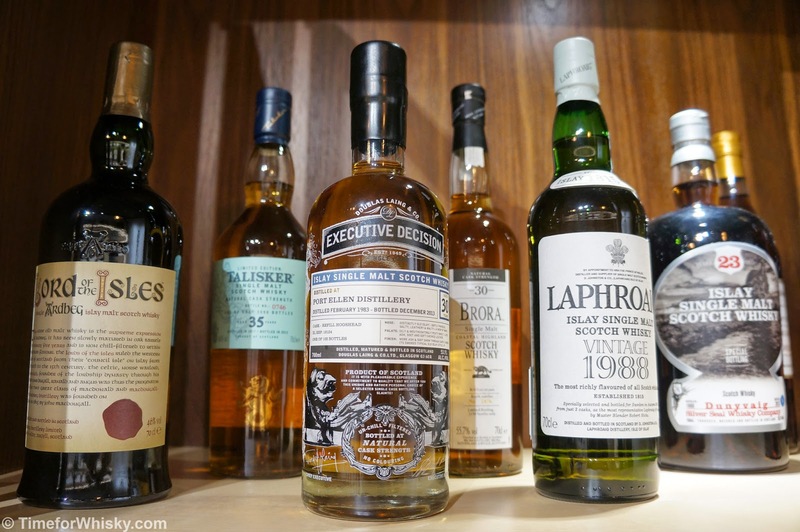 Dr Bill Lumsden, along with a team of scientists in Houston, Texas will analyse the samples to determine the impact gravity has on whisky maturation. A white paper on the subject is due in 2015 and will no doubt prove very interesting reading. 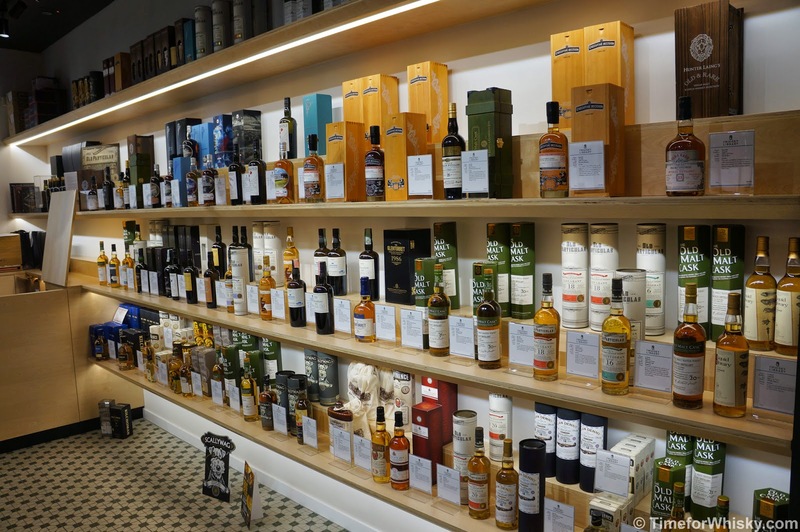 The "one small step for man, one giant leap for whisky"-style comments will be inevitable, but the fact remains this is a pretty fascinating experiment, and one which could shed some new light on the maturation project. I for one can't wait. Now, back to the 2014 Supernova, or "SN2014". Bottled at 55% (down from the respective 58.9% and 60.1% of "SN2009" and "SN2010"), the SN2014 is set to retain a similar level of peatiness to the previous releases, adding in citrus, smoke, peppermint and medicinal notes. 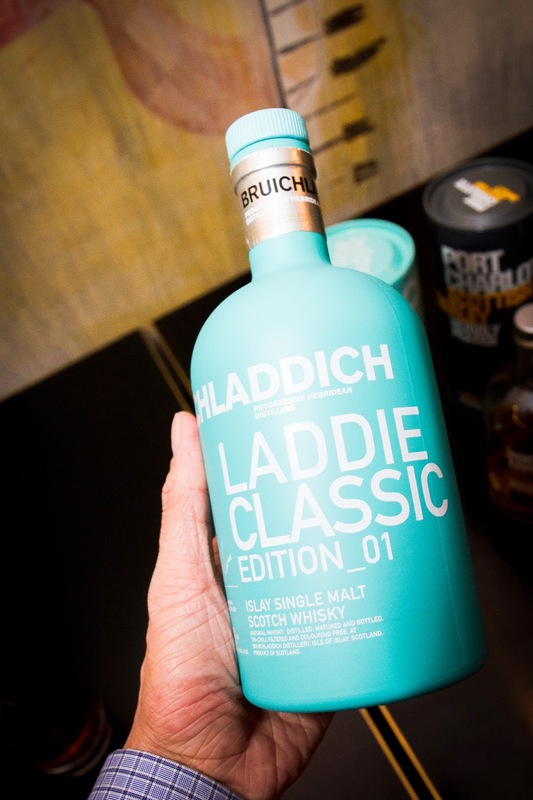 We'll of course be tasting it ourselves and giving you our personal notes (despite the frankly ridiculous prices these minis are fetching at the moment, we'll most definitely be opening and consuming it - as that's why it was sent to us), but that will be in mid October. As an added bonus though, we'll post up tasting notes on SN2009 too (which we found recently at a bar in Hong Kong). The new 2014 Supernova will be released in December 2014 in Australia with an RRP of $240AUD. Sign up for notifications (and buy it) through the Moet Hennessy Collection. When Steph and I moved to Hong Kong back in July, I dropped into one of my favourite shops The Armoury (in Landmark Men) in the first few days for a look around, and picked up a free magazine advertising some of the local shops. 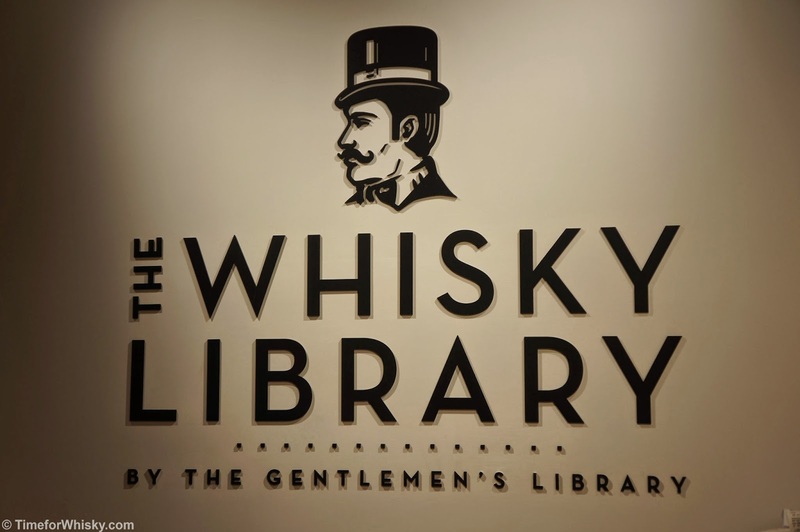 My eyes were instantly drawn to a feature on one called "The Whisky Library", in the very same building. So next visit to Landmark Men I walked around, and around, and around, and couldn't find the shop anywhere. I asked in The Armoury who gave a vague response, and I eventually worked out (from the shop's Twitter account) that they'd closed for Summer, and were re-opening in another shopfront in the same building. Fast forward to September and we dropped by after work one day (having seen the construction of the shop underway over the previous weeks), and managed to pick the opening day. Timing! A quick chat to Marlon, the store's manager / whisky specialist, and it was clear this was a bloke who knew his whisky (somewhat a rarity in Hong Kong, it seems). We agreed to meet up for a dram and a longer chat the next week, when I brought the camera along and decided to snap a few photos. 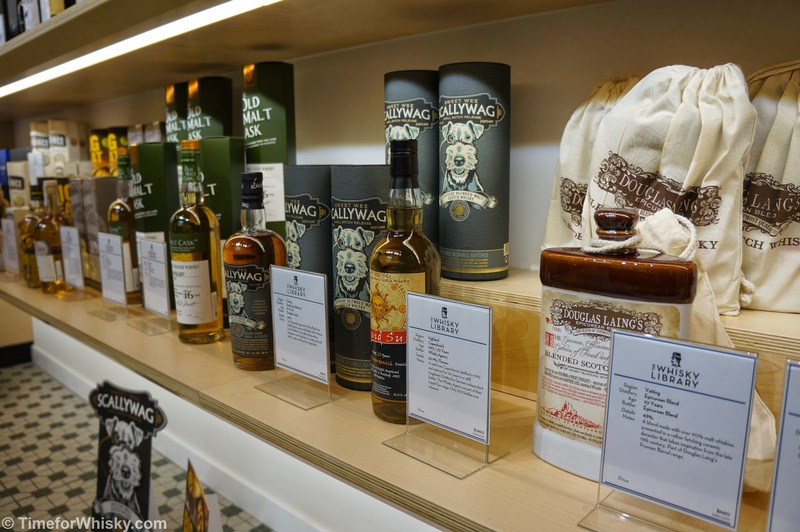 The selection, whilst not huge (though certainly not small, and definitely the best we've seen in Hong Kong), is a well-curated mix of both Original and Independent Bottlings (some definitely on the rarer side), with a few Douglas Laing & Co staples (Big Peat, Scallywag) and Kilchomans as the core products. ..and some very old Macallans! 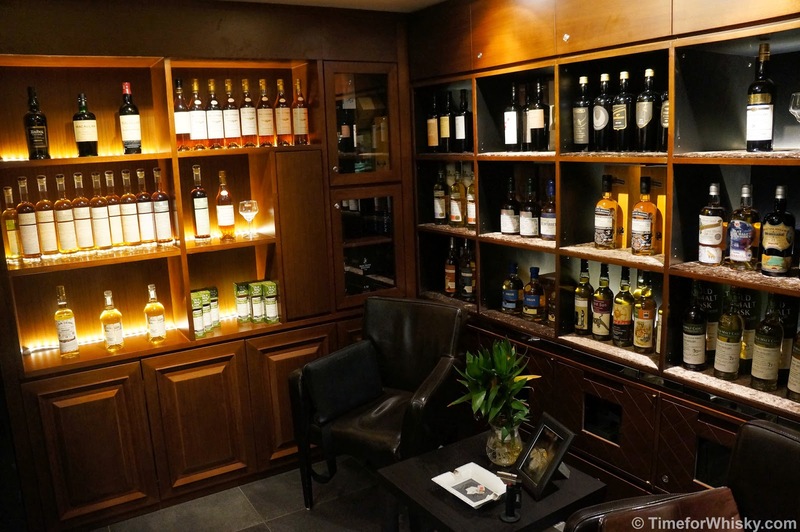 After sufficiently touring the store, Marlon took me to visit their smaller, more private store a few blocks away ("The Gentlemans' Library") which houses an equally good selection and is conveniently located right next door to a fantastic cigar lounge. Match made in heaven? I think so. 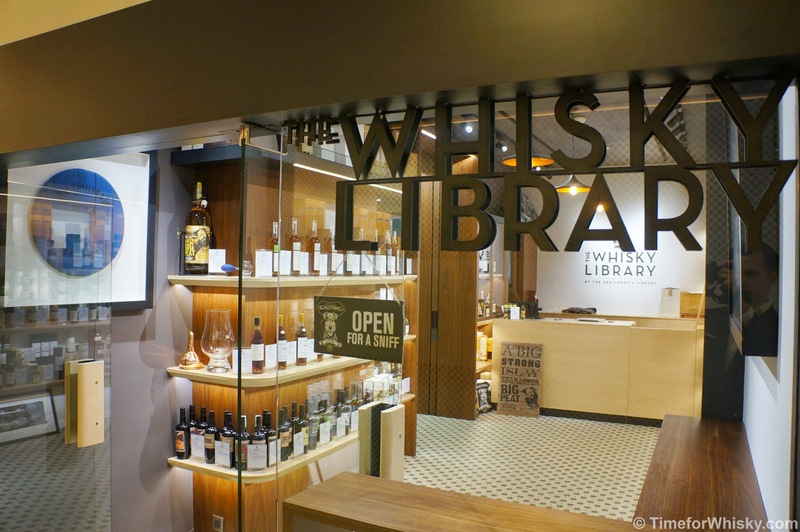 Anyone looking for a unique, rare or just downright good quality bottle of Whisky in Hong Kong could do well to drop by The Whisky Library and pay Marlon a visit. 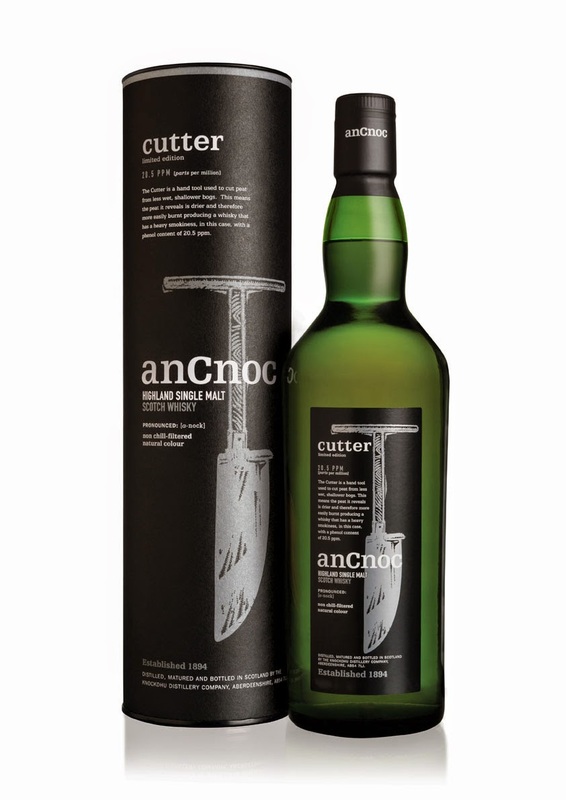 Back in April we mentioned the new AnCnoc "Peaty Collection", and it seems the trio now have a fourth joining their ranks - "Cutter". 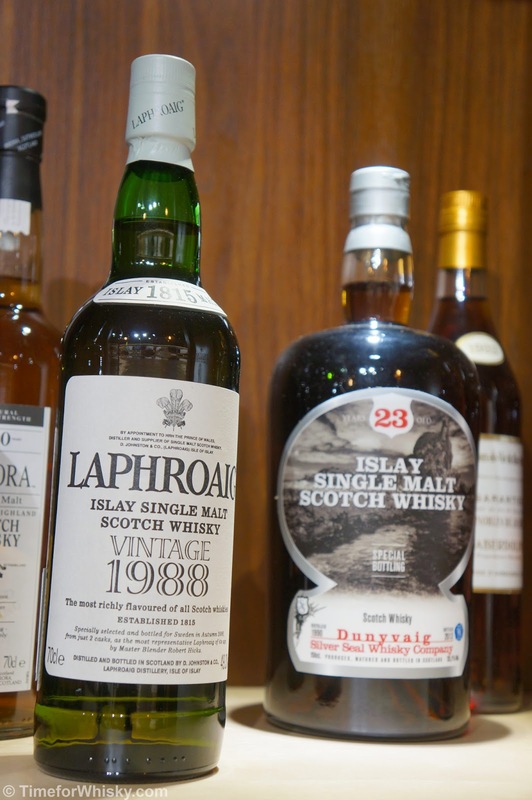 "On the 1st of September a new expression has been added to the acclaimed Peaty Collection. Cutter is the fourth in the series and the peatiest one so far. 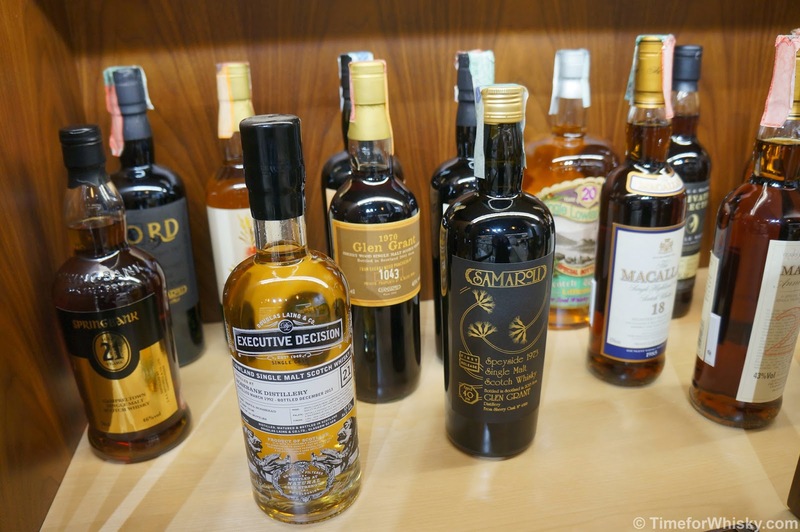 While Rutter, Flaughter and Tushkar had phenol contents ranging from 11 to 15 parts per million (ppm), their new sibling boasts a very high phenol content of 20.5 ppm, putting it in line with some of the most intensely smoky whiskies on the market. 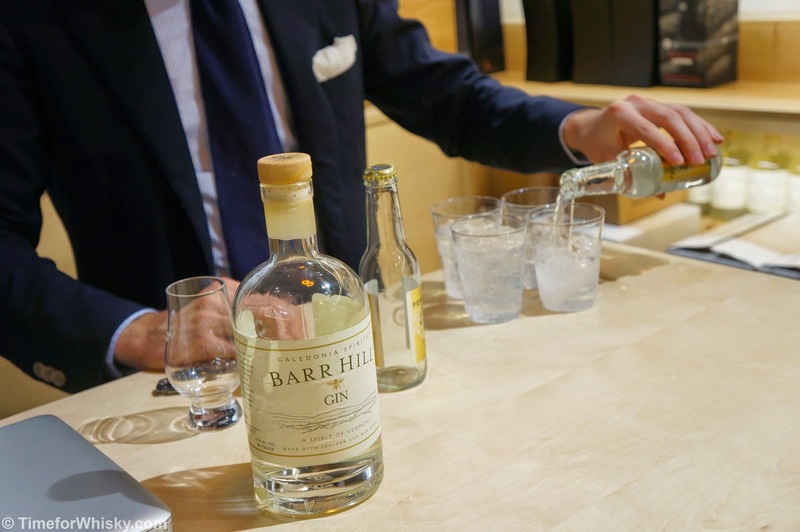 It is worth noting that the level of peating is measured on the finished whisky rather than the malt or the new make spirit, giving a more reliable description of the actual perceived level of peatiness. What's more, the phenol content is highlighted on the packaging to help whisky lovers make more informed decisions. 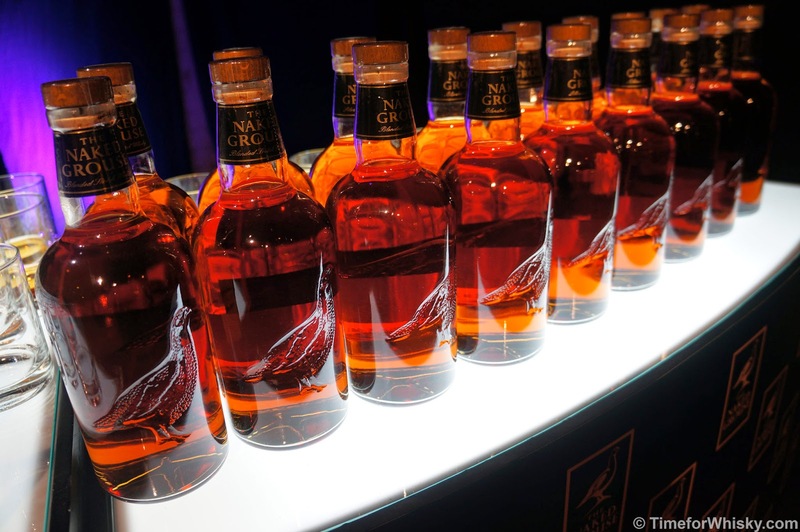 Cutter is matured in ex-bourbon casks made from American oak. It is bottled at 46% ABV and non chill-filtered. Like all Peaty Collection expressions it is presented at its natural colour, a light shade reminiscent of lemon juice. The aroma is unmistakably peaty with oily smoke followed by a sharper, more medicinal note and a piercing ray of fruit and spice. On the palate it gains even more smoky intensity with ashy overtones, a slight apple-core bitterness and a spicy vanilla heart. This is a richly phenolic whisky for the seasoned peat-lovers or those looking to shine light on their dark side of flavour and experience the full force of a truly peaty dram. 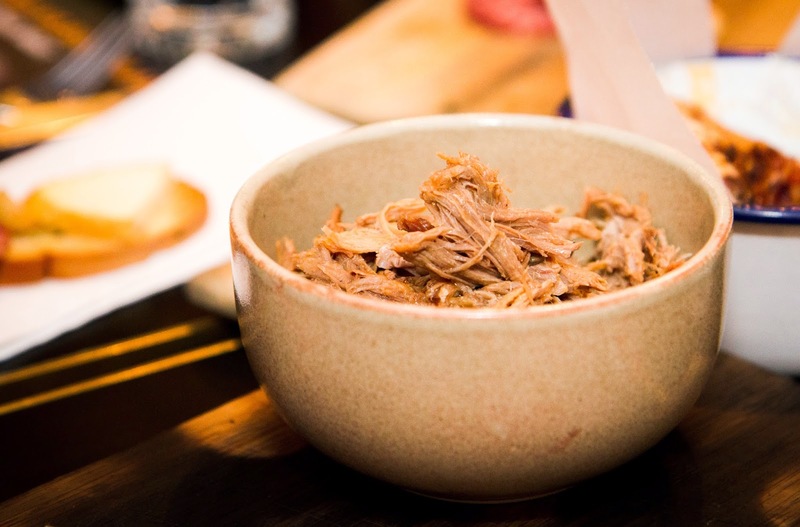 Cutter will be available from the 1st September in key international markets, such as the UK, Canada, Australia, Germany and France to name but a few." Cutter will sell for an RRP of $85AUD in Australia. No word yet on its release in Hong Kong. 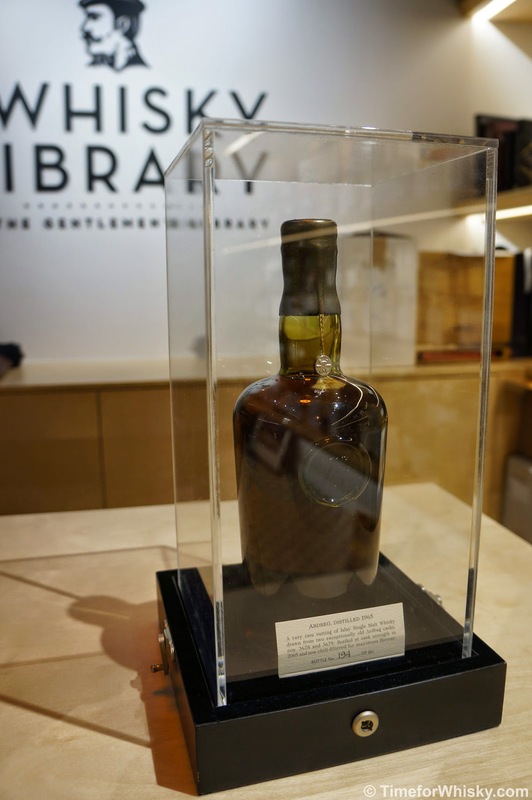 If you've been around the whisk(e)y scene for a few years (heck, if you've ever stepped foot into a bar pub that sells Jack in September), you'll probably have heard of "Jacktember", the month-long celebration of Jack Daniel's birthday. Jacktember this year involves an ambitious new project in “The Bar That Jack Built” – the world’s first crowd-sourced bar built entirely "from the love of Jack Daniel’s", by fans. 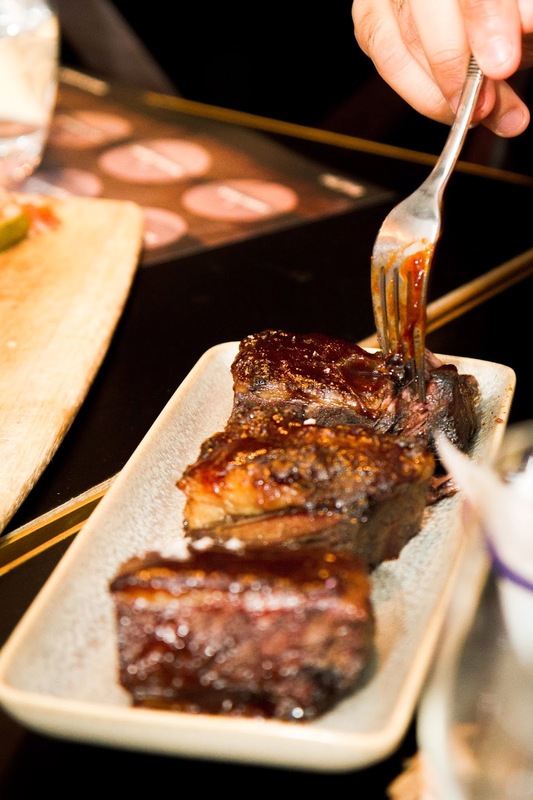 "The campaign is being run through social media and kicks off with a recruitment shout-out to all Jack Daniel’s Facebook friends in NSW where the bar will be installed. 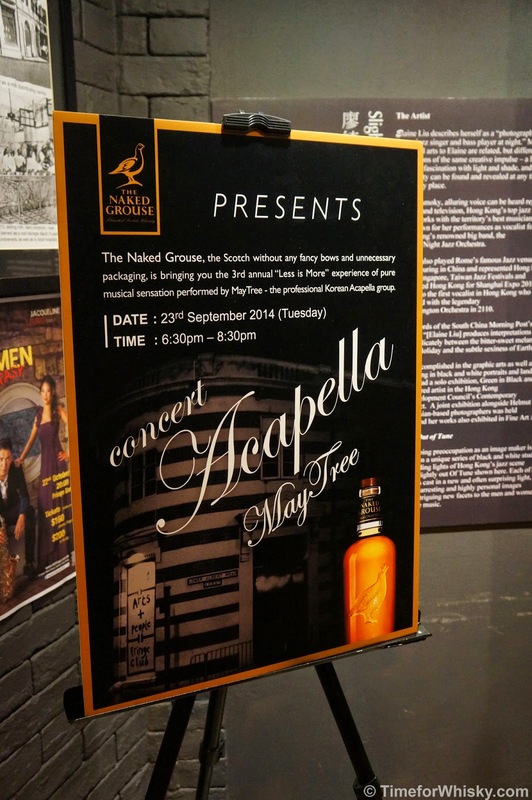 They are being asked to donate materials, time, expertise and ideas in reward for Jack Daniel’s product and merchandise. The more they give, the more they get with the biggest contributors getting tickets to the big birthday bash on the 27th of September. 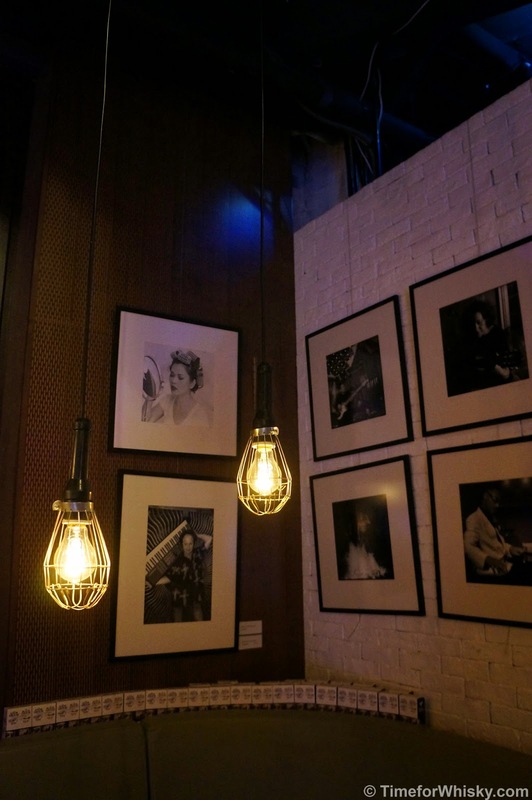 From the carpenters, electricians and designers who put the bar together, to the artists and musicians who perform on the night, every person’s involvement will come from a love of Jack Daniel’s. Especially since everyone that participates will be rewarded with Jack Daniel’s product. Funny timing this one. Since the move into Asia, we've been slowly re-building the basics we had at home, but sadly had to leave behind (thankfully in safe hands). Steph and I used up our measly 1L/person duty free allowance on a few Aussie whiskies, and so the basics like Rye, Bourbon, Gin etc... we needed to re-buy over here. When looking at Ryes, I stumbled across Michter's, which I'd seen a lot of from reading various US mags, but never tried. As I couldn't find my beloved Bulleit 95, I took a punt and picked up a bottle of the single barrel rye. 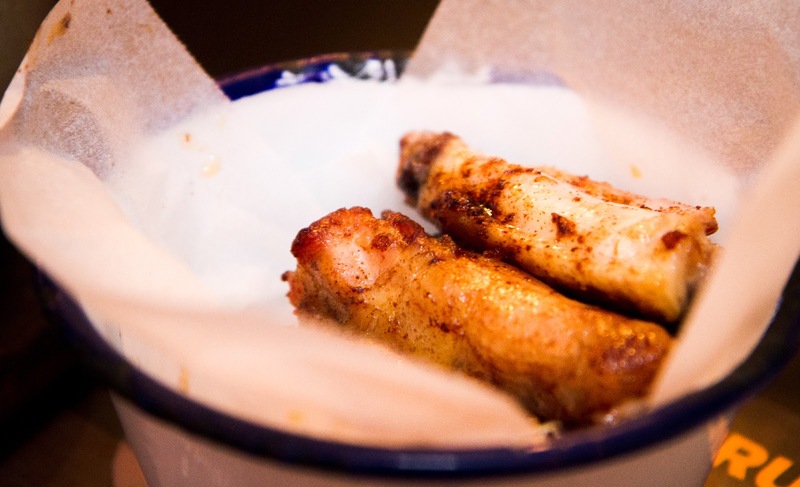 Tasty stuff. ...for $10? Get outta here. 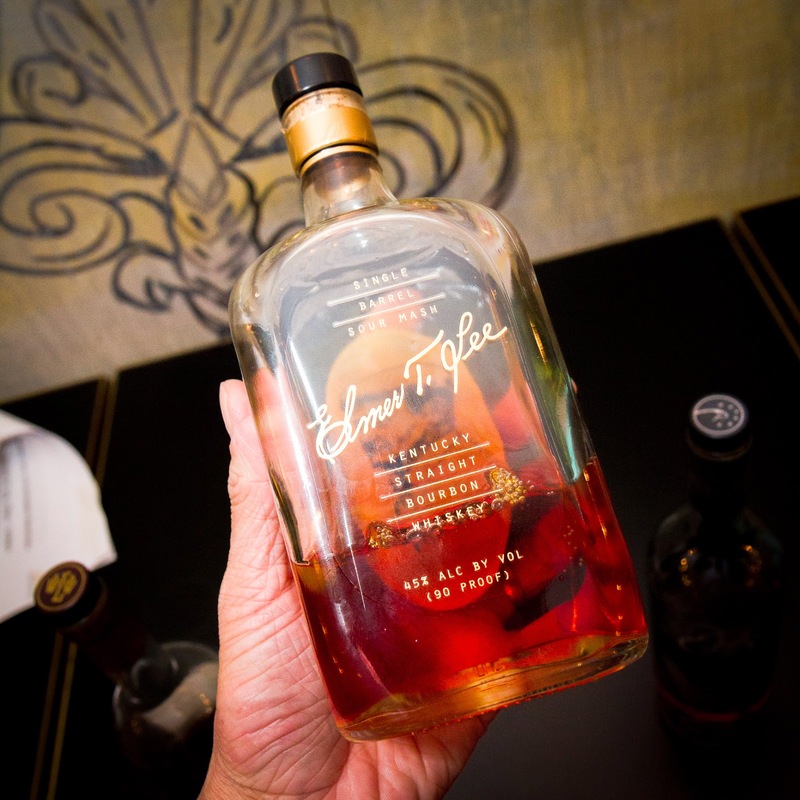 We've attended our fair share of whisk(e)y dinners over the past few years, and without fail they've always been a whole lot of fun. 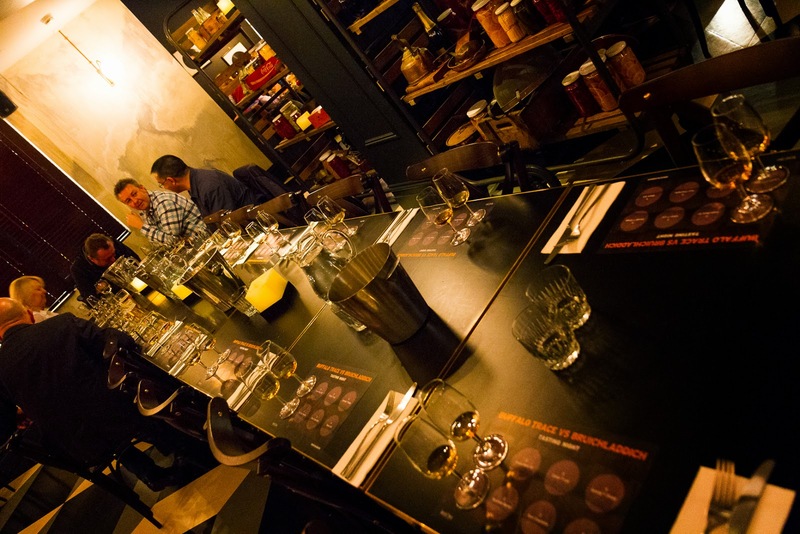 Sometimes the whisky matches brilliantly, sometimes not so much, but they're always fun-filled events, full of great food, great whiskies and plenty of banter. 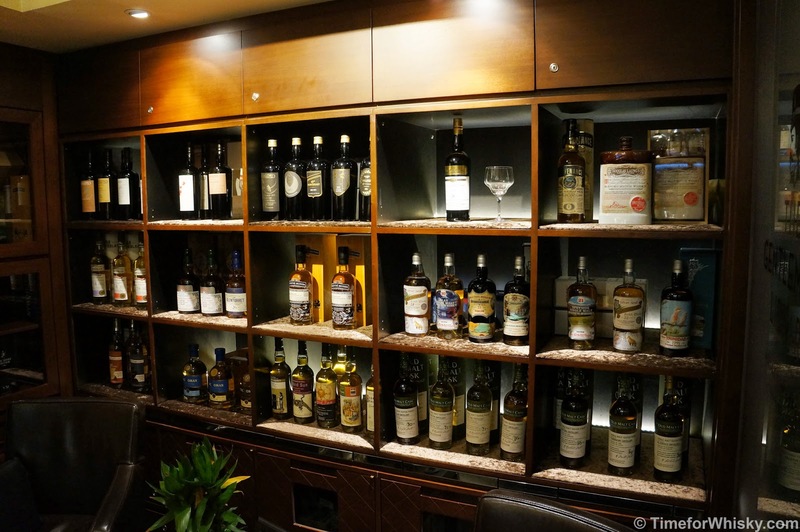 $99 for a four course meal in Palazzo Versace's Vie Bar, with four whiskies (one of which you'd probably pay close to $50 for a nip in some bars), hosted by one of Pernod's most knowledgeable whisky folk.... sounds like a great night to us.